Discussion in 'News and Features' started by Tom Goh, Oct 23, 2018. 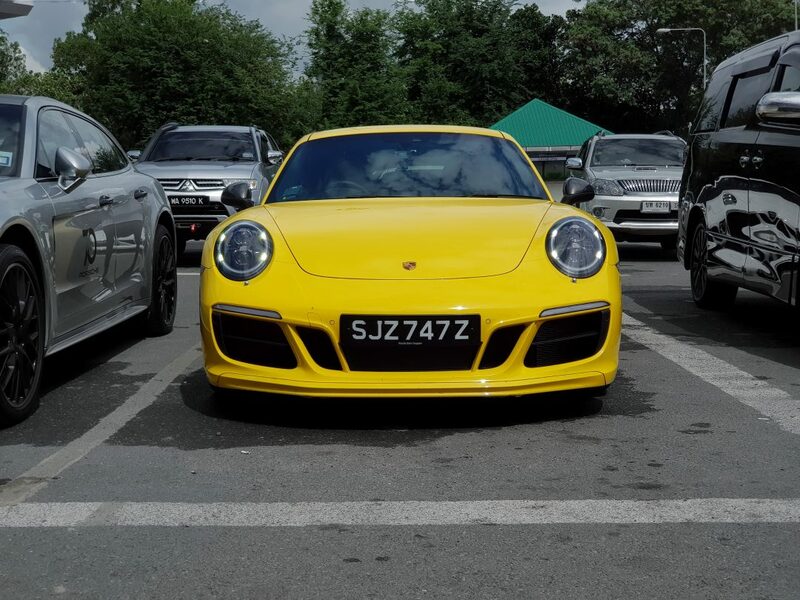 "I have to say though, the first few KMs in the 911 T wasn’t exactly what I expected. It didn’t feel particularly more able than a normal 911. However, it is the enhanced ambiance of the T that is most apparent. Just about everything is amplified. The sound, sensation of the road surface, the driving experience is a lot more dramatic, intimate and closer to the ground. The Carerra T rides 10mm lower compared to its more road-going siblings and the results show, both physically as well as aesthetically. It’s also worth noting the lowered sport chassis has been developed specifically for the Carrera T and is not an off the shelf option. In fact, a number of these juicy options are either Carrera T specific or are available for higher 911 variants. So one thing’s for sure, it’s not possible to turn a base 911 Carrera into a T.
It’s got a more pronounced front splitter to go with the entire motorsport cause, so it pays to be wary, when going through humps and ramps. No worries though, its front axle lift feature, activated via a button on the centre console solves everything. There weren’t any issues with rubbing or scraping while driving through the south half of Thailand despite the lower stance. The Carerra T looks good. I find its minimalism alluring, there are no big scoops or rear wings here. It is a 911-next-door. Simple, pure and has real track car vibe to it. Come to think of it, T’s likely the naughtiest 911 for the least commitment a man can have. The T sounds very mechanical too. I hear and feel the engine resonate though the cockpit more than a normal 911. In fact, there is less sound insulation used at the rear end, then a revised muffler amplifies exhaust sound further. A factory feature of the Carerra T.
I sense the road surface more as the T ever so gently, track the contours of the tarmac like a track car would. Driving from KL – Penang – Songkhla – Chumpon – Hua Hin – Bangkok allowed me to get to know it better. The very direct steering comes alive at speed and demands attention as it relates road information back to both my hands, more passionately so than its classier counterparts. Has the lower ride height got anything to do with it? Did Porsche fiddle with spring rates, links of bushes? Maybe."